The block speeds up as it slides down. 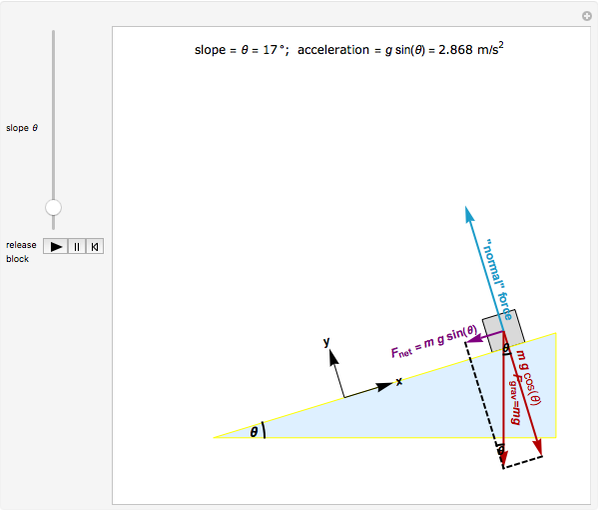 How does the speed at the bottom depend on the steepness of the slope? Following Galileo, who did this type of experiment before Newton was born, you can investigate this using the slider and "trigger". The Demonstration is a model showing the forces as "arrows" or "vectors". There are only two forces acting on the block: (1) the blue "normal" force, exerted by the plane on the block in a direction perpendicular or "normal" to the surface of the plane, and (2) the red gravitational force ( , exerted downward by the Earth). These two forces "add" together (as vectors) to yield , which points down the plane. Newton's second law states that the rate of change in the speed is directly proportional to As you change the angle, you can see that remains constant, while the normal force and change as required to keep equal to the vector sum of and the normal force. The key to analyzing this system successfully is to choose the correct orientation for the and axes. 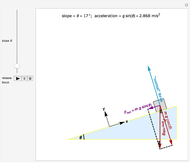 If you choose axes parallel and perpendicular to the plane, the analysis is (relatively) easy. 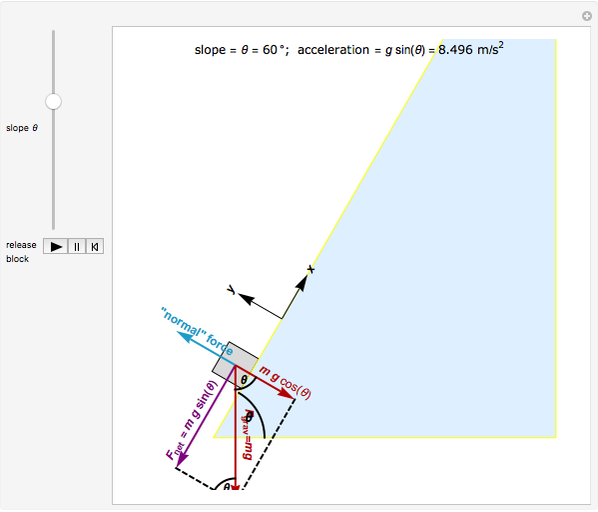 You can use the conventional horizontal and vertical orientation, but be prepared for more difficult trigonometry! 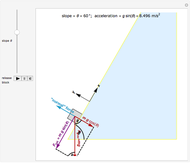 Resolving into and components is the next step; the components (parallel and perpendicular to the plane) are also shown. Physically, the block can only move parallel to the plane—assuming the plane is smooth and straight means the block is never going to jump off the surface of the plane and is confined to sliding along the surface. This means that the speed and net force in the direction, that is, perpendicular to the plane, must be zero. Assuming that the plane is "frictionless" means that the plane does not exert any force on the block that is parallel to the surface. Therefore, any force exerted by the plane on the block must be perpendicular to the surface. This is the reason for the name "normal" force: it is always oriented "normal", or perpendicular, to the surface of the plane. 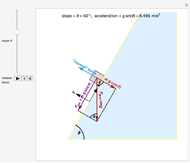 In order to have no net force on the block perpendicular to the plane, the "normal" force exerted by the plane and the component of must cancel exactly, leaving no net force on the block in the direction. As a result, the component of is the only remaining, or net, force. Thus, expected, the net force is pointing parallel to the plane, and in fact, down the plane. The kinetic energy at the bottom equals the gravitational field (potential) energy at the starting point, or , where is the vertical height of the block above the bottom of the plane before the block starts moving. Solving, , which is the same as the result above. Fernand Brunschwig and Joe Bolte "Block on a Frictionless Inclined Plane"